We started developing mobile websites before the first iPhone. Now, the mobile market is huge! And it’s growing fast. More and more companies, including Google, Facebook, Instagram, Amazon, and more are making their biggest profit growth in the mobile market. Now is the time to capture the mobile market! Mobile users are more likely to convert sales, for a larger amount, than any other computing user! Unfortunately, most websites aren’t designed or developed to fit on small screens like the iPhone, Nexus, Android, and other Smart Phones. We can design your new mobile website to load ONLY on mobile phones, and to better convert your sales leads into customers! Many companies offer Mobile Website Design. Make sure you go with Mobile Site Design Professionals. Think of CreativeMade™ for your next mobile website project. We can convert website to mobile! Watch our short video below for a sample of our Web Marketing Experience. You’re looking for Certified Professionals that work with Bing, Yahoo!, Google and more! This isn’t our first rodeo, and we’ll make sure you don’t get the horns. Our projects are cross compatible, responsive, mobile, accelerating, in the cloud, and awe inspiring! We’ll make your existing website mobile friendly! We will find exactly what your project needs, what your company could benefit from, and dream up a user experience your customers will love. We’ll give you an entirely new mobile site! Our websites don’t come from a can, every web design project is intricately planned and of course, Creatively Made! 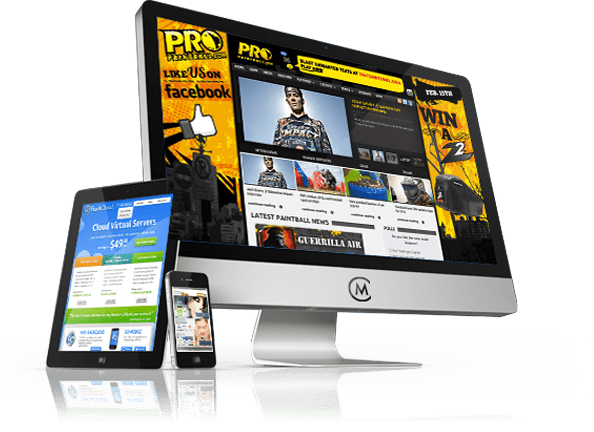 Your website will look great with mobile responsive design! We understand how your brand image defines your business. We deliver high end results. Optimize your mobile advertising! You may have heard horror stories, but not from us. We employ U.S.A. – are located in Denver, Colorado – and have experienced web design professionals. You’ll get more customers over mobile with optimized landing pages! Take advantage now with our Mobile Design and Development Services. We can have you online, taking orders over cell phones and tablets in no time. Ready to get started? Let us bid your next project.